Guru, a pioneering rapper who formed the duo Gang Starr, died Monday after losing a battle with cancer. He was 43. The Hip-Hop legend, whose real name was Keith Elam, had been suffering from the illness for more than a year and slipped into a coma after heart surgery in February. His death was announced today by his current partner, MC Solar. "The world has lost one of the best MCs and hip-hop icons of all-time — my loyal best friend, partner, and brother, Guru," Solar said in a statement to MTV.com. "Guru has been battling cancer for well over a year and has lost his battle! This is a matter that Guru wanted private until he could beat it, but tragically, this did not happen. The cancer took him. Now the world has lost a great man and a true genius." Guru, along with former partner DJ Premier, rose to prominence in the early 1990's with the release of their albums "Step in the Arena" and "Daily Operation." The duo drew attention for sampling jazz melodies and blending them with the driving beats common to rap music at the time, along with sharp, socially conscious lyrics. Guru, an acronym for Gifted Unlimited Rhymes Universal, went on to a solo career where he collaborated with musicians like Branford Marsalis, Donald Byrd, N'Dea Davanport and Roy Ayers on a popular series of albums called "Jazzmatazz." Solar released a letter he said was written by Guru as he neared death in which he thanked his fans, spoke of wishes for his son and tersely distanced himself from DJ Premier. "I write this with tears in my eyes, not of sorrow but of joy for what a wonderful life I have enjoyed and how many great people I have had the pleasure of meeting," the letter reads. "I do not wish my ex-DJ to have anything to do with my name likeness, events, tributes etc. connected in anyway to my situation including any use of my name or circumstance for any reason and I have instructed my lawyers to enforce this," wrote Guru. "I had nothing to do with him in life for over 7 years and want nothing to do with him in death. Solar has my life story and is well informed on my family situation, as well as the real reason for separating from my ex-DJ." Fellow rap legends from Guru's era reacted over Twitter, paying tribute to an artist who helped define the genre. "From Allah we come to Allah we return. R.I.P. Keith GURU. A great man, poet, and I'm proud to say friend," Tribe Called Quest front man, Q-Tip tweeted. "In my 10 greatest voices in hip hop. Guru was easily top 5..." The Roots drummer, Questlove tweeted. "Smooth. velvet. will be missed. 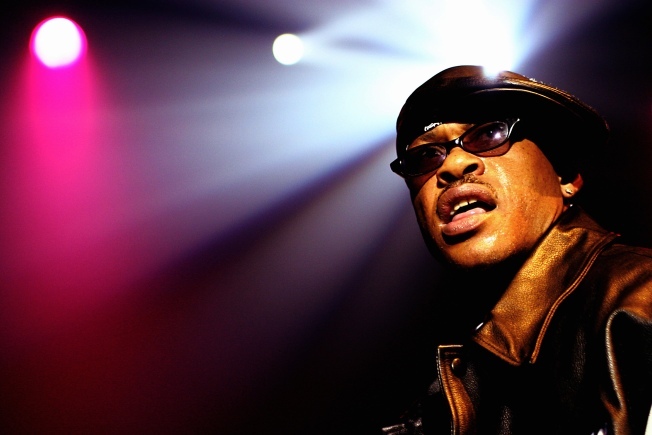 RIP Guru." He was also among the chorus of voices that cast doubt over the authenticity of the purported death-bed letter. "Not trying to bring negativity into the situation," he tweeted, "but i do NOT believe he wrote that letter. 1) he was in a coma. 2) HE WAS IN A COMA!" "The letter just doesn't feel honest or real and the situation seems to suggest it couldn't be," Hip-Hop writer and commentator Toure tweeted. "I hate that our moment of mourning Guru is marred by this absurd letter meant to bring legitimacy to Solar."